Duck Dynasty‘s Willie Robertson has received an unusual gift from some friends – a painting found at a Scottish museum. 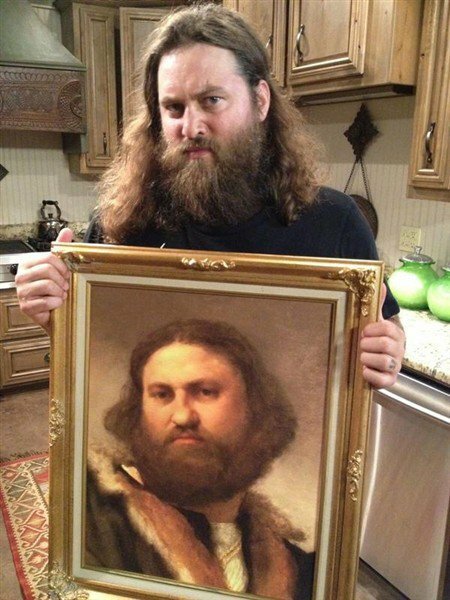 “Some friends sent @williebosshog this painting, ha! They found it in a museum in Scotland! #longlostrobertson,” Korie Robertson tweeted. Korie Robertson can’t deny the uncanny resemblance between her husband and the work of art.